All these words have almost the same meaning, but their usage is different. You can't use these words as synonym to one another. In this post we will learn the proper usages of words in a sentence. If someone or something attracts you, they have particular qualities which cause you to like or admire them. if a particular quality attracts you to a person or thing, it is the reason why you like them. Allure is a noun and verb. An allure is some type of quality or attraction that something or someone have. If you are fair, your fairness is your allure. As a verb, it means to dispose or incline to something that one find attractive. Cricket has lost its allure. Titanic has a special allure that makes the movie super hit. Lure is a noun and verb. 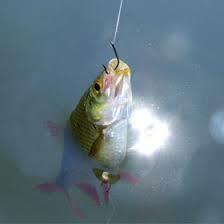 As a noun lure is an attracting thing that is used to attract fish or animals, so that they can be caught. As a verb, lure means to trick someone into doing something that they should not do. We use dead rats as a lure to catch fox. A woman lured my husband and looted all his money. Coax means to persuade somebody to do something by talking to them in a kind and gentle way. It took almost an hour to coax the cat down from the tree. I somehow coax her into singing. The ad coaxes customers to try the new product. It means to persuade someone to do something by saying nice things. My wife cajoled money from me. My roommate cajoled me into lending him money for movie ticket. It means to achieve control over somebody in a clever and dishonest way so that they will do what you want. My son inveigled more colleagues into joining the fun. Wife inveigles her husband to buy expensive gift for her. Decoy is a noun and verb. It means a fake version of a person or thing that attracts people's attention so they will not notice someone or something else. A decoy is a wooden or plastic bird that is used by hunters to attract live birds. As a verb it means to trap someone. Police decoyed the thieves to the house. We invite fake actors to our shops so that many people visit our shop. Something that tempts you attracts you and makes you want it, even though it may be wrong or harmful. If you tempt someone, you offer them something they want in order to encourage them to do what you want them to do. I am tempted by sweets. Someone or something attract others to a particular thing without any intent. The word attraction does not include any types of intention whether it is good or bad. You are attracted by something because that thing may have some good qualities. We allure to something means we incline to something by purpose and strive, that thing may either be evil or be good. Attraction is used when there is no purpose; Allure is used when there is purpose. Lure means an attracting thing. The word is mostly used for animal not for human. Lure means bait, something lure is a bait to catch animals. We use dead worms as a lure to catch fish. Coax simply means to persuade someone to do something. If your husband is lazy then it will be a daily routine for you to coax your husband to give a hand in house work. Cajole is the same as coax but it is a negative word. The word cajole has a sense of deceiving. Your girl friend is appeasing and praising you saying, "you are too nice" when she wants to buy something expensive. This act of appeasing and praising called cajole. If someone cajoles you, they have some hidden agenda. Decoy means a trap, or to trap. The word decoy is used when an idea of deceiving comes. Duplicate Tom Cruise can act as a decoy to congregate people in a place. To inveigle means to follow or get attracted to someone mindlessly, blindly, unthinkingly. If you inveigle someone, you follow them without using your mind. Kidnapper may inveigle a kid to some unknown place so that he can kidnap the kid. Tempt is used where there is a sense of trying or endeavoring to lead one that is somehow wrong. If you are tempting for more sweets, it means you are trying to get something that may harm you as you may have eaten many sweets, or you are a diabetes patient.